The children will take on the role of Polish immigrants, recently arrived in 19th century Paris. They are met by Marie Curie (Sarah Kemp) and her husband Pierre (Mark Hanley), also a scientist. Marie will converse with the children in both English (representing her native Polish) and French. As Pierre does not speak English he will only speak French. Marie will invite them to assist her and her fellow scientists in her work in Paris. With the help of Marie the children will engage in a picture/word matching activity that will introduce them to Paris at the end of the 19th century e.g. the newly built Eiffel Tower, the Paris Metro, the age of electricity, artists and musicians…the new safe bicycle! Working in groups on different topic areas the children then make recommendations to their friends on the most interesting activities they can engage in during their stay in Paris. Pierre will conduct the children to the laboratory. The children will then take part in an experiment to separate a piece of rock into four components in line with the methods used by Marie Curie to isolate Radium – sifting, filtering, flotation, evaporation. The experiments will be conducted through the medium of French. The children watch a short drama scene performed by Marie and Pierre showing their work in the laboratory and their discovery of Radium. Following this, the children will be separated into groups, each of which will create a tableau based on a key moment in the life of Marie Curie. This method of drama-based learning will enable the children to research the characters involved, familiarize themselves with some new French vocabulary and learn more about the scientific effects of Radium. 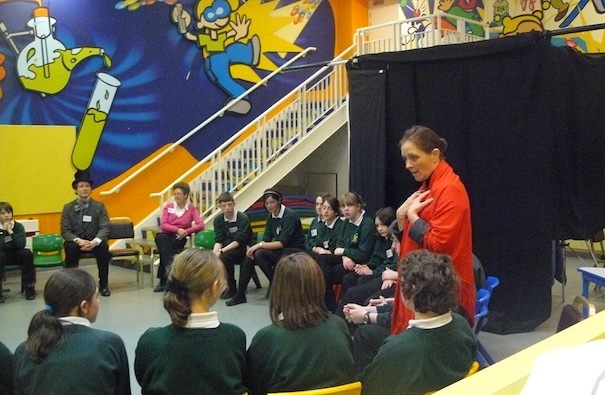 These scenes will then be presented to the rest of the group giving the children an overview of Marie Curie’s life. Photographs of these tableaux, printed in a sepia style, could be used in follow up French lessons. 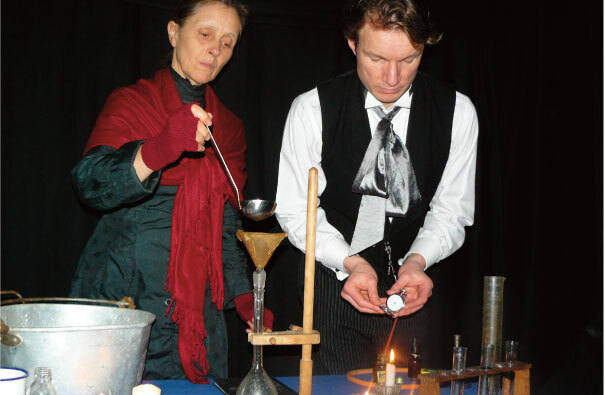 The children explore the modern day uses of radium and discuss the good and bad aspects of Marie Curie’s discoveries. They put their conclusions up on an opinion line and have to justify what they have done.